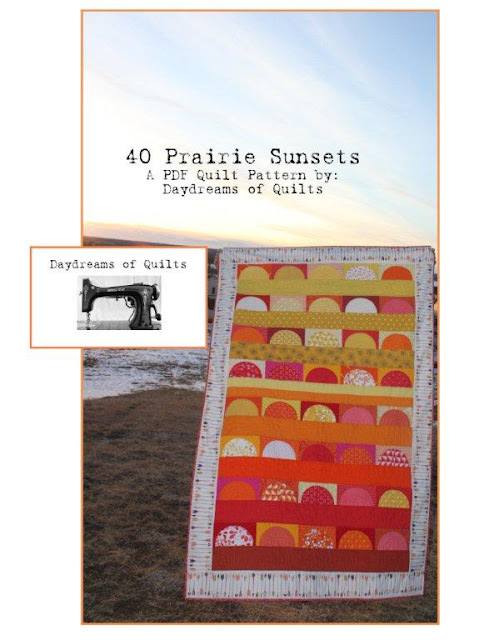 Daydreams of Quilts is thrilled to announce the release of our latest pattern "40 Prairie Sunsets." 40 Prairie Sunsets - Designed, pieced and quilted by Anita LaHay of Daydreams of Quilts. My husband and I were racing up a steep hill near our home yesterday to get some photos of this quilt fresh off the sewing machine before the sun went down. The moon rising over my sunset quilt. 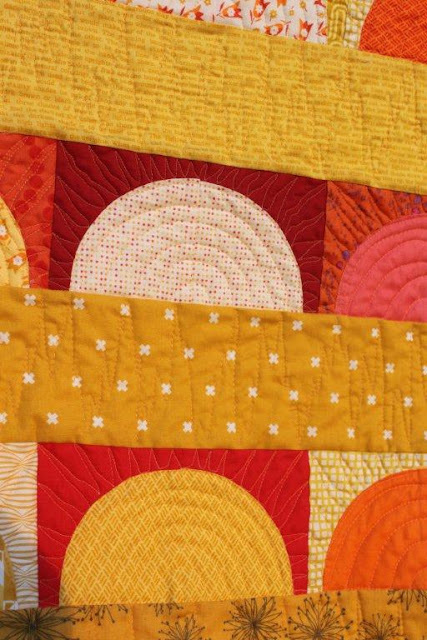 A closer look at the fussy cut border. 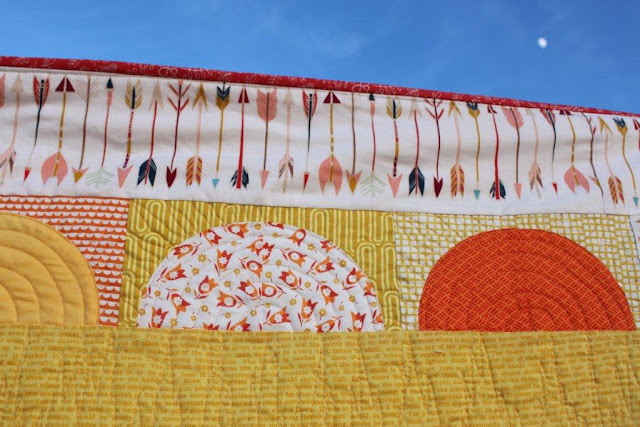 The sample quilt was free motion quilted with radiating half circles on the suns, rays coming of the suns into the skies and jagged prairie grasses. If prairie sunsets are not your favorite perhaps you prefer ocean sunsets. 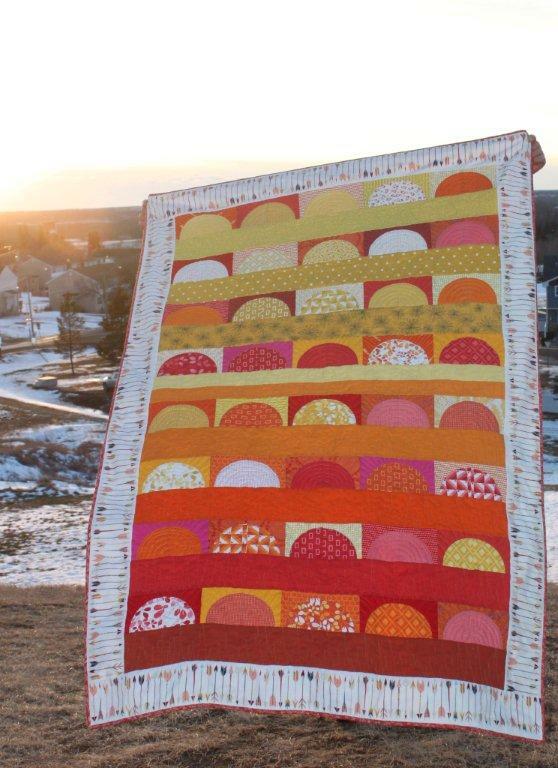 Add in some cool colors to transform this quilt into an Ocean Sunsets quilt. Yes, there is some curved piecing but fear not! I have make a little video (below) to show you how easy these curved seams actually are. Once you have your curved pieces all sewn this quilt top goes together very quickly. There is a link to this video in the pattern itself as well.